You probably already got used to all the new premieres coming almost every week. I still haven’t forgotten about the last one – Planet of the Apes. This time will be no different. On 23rd of November we will be able to welcome new game from NetEnt – Finn and the Swirly Spin. But before that, I’ve gathered some information for you, so you will get to know the game a bit better. Ok so, first of all, there’s a different reel set, you will have a 5×5 grid in here. Something you have already seen in the Emojiplanet slot. You get a win each time you will hit 3 or more symbols in a horizontal or vertical line. Winning combination will be removed from the screen and it will be replaced by the new symbols. Of course, as in almost every NetEnt game, we have free spins in here. The best thing about it? There are 4 different types of free spins rounds you can win. How do you enter the free spins game round? Well, that’s when the things get more interesting. Each game round will start with the key symbol on the bottom left. If you will hit a win symbols will be removed and the key will then start to move to the center. If your key will finally reach the center, you will then enter the free spins. What’s next? You get to pick your own free spins! You can’t access all the round right away, as some of them will require more than one key to unlock. Star Bar Free Spins – 1 key required – You will then enter the bonus game round with 7 free spins including Starfall Wilds feature. 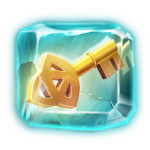 Lava Lair Free Spins – 4 keys required – Now you have 3 free spins with a sticky wild symbol, it will not get destroyed, which means you will have it all the time during one game round. On top of that, you will have Dragon Destroy Feature in here. 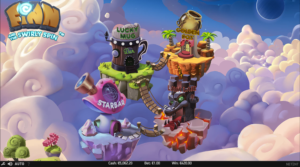 Lucky Mug Free Spins – 9 keys required – 4 free spins with Irish Luck feature. Golden Pot Free Spins – 16 keys required – when you will finally collect all the keys, you will then have 2 free spins with the Magic Transform feature. 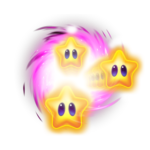 In both main game round and free spins game rounds, you can get star wild symbol. 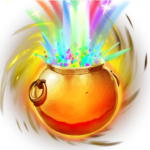 Whenever you will hit a winning combination with the wild it will then explode and disappear. If you were thinking that it’s all I’ve got, well there’s something more coming up. You can also get 4 different types of random features during the main game round. Starfall Wilds – it will place 2 or more star wilds symbols on the board. The game will keep adding the wilds until the win occurs. So you can be sure you will win something in here. 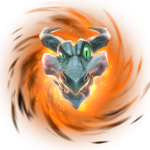 Dragon Destroy – it will appear randomly if there was no win in the game round. Dragon will destroy a random number of symbols until you will hit a winning line. 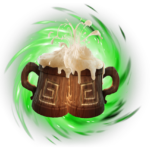 Irish Luck – this feature will give a horizontal or vertical line of the same symbol, to make sure you get a win. Magic Transform – in here all the spade and heart symbols will be transformed into another higher paying symbol. The game can be played on both – desktop and mobile devices. If you haven’t tried the mobile casino yet, now is the best chance to do it. Below you can preview all the free spins game rounds and game features. For sure this premiere is something that you can’t miss out. Ok, as always, I have a surprise for you. Premiere is approaching and as soon as the game will be launched, you can claim your free spin. What exactly you will get? 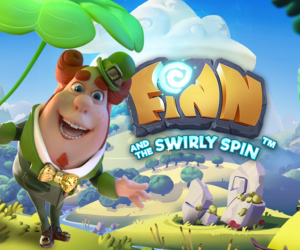 20 free spins in Finn and the Swirly Spin without a deposit. To get your goodie you need to register a free account using the link below. Open the game and enjoy your free spins.